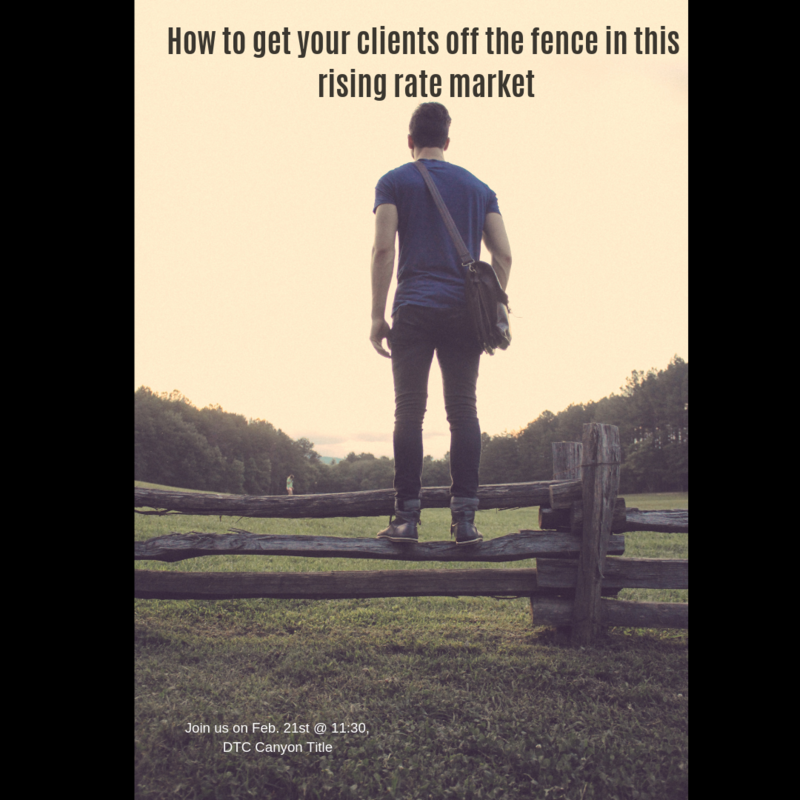 This Lunch and Learn course is designed to help agents in swaying their buyers off the fence in a rising interest rate market. It will show agents, through statistical data and resources, how to convey the generally higher cost of waiting to purchase over a period of time. With low inventory, rising rates, and rising home prices this course is designed for agents to show and articulate to their buyer the importance of moving on that first home or investment purchase immediately for the best return on investment possible.